What have you done to him?! What have you done to his eyes, you maniacs?! That final scene in the apartment, and the moments leading up to it, jarred me in a way that only an old horror movie can. A genuine, shudder-inducing eerieness. I don't know if I can bring myself to even discuss it, seeing as it's past midnight, my husband isn't home and the cats have conveniently stationed themselves in another room. Instead, I'm going to take the safer, less creepy route and reflect on Mia Farrow's trademark style in the film. 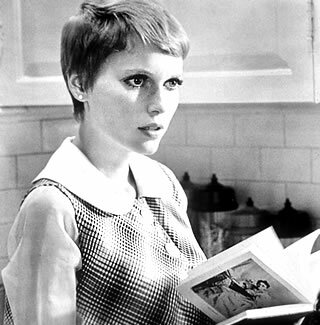 She rocked the pixie cut so fiercely. 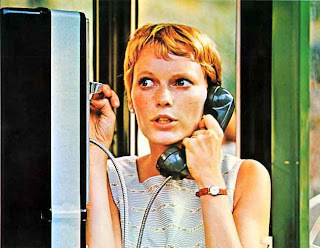 A style only few girls, like Twiggy and Carey Mulligan, have been able to pull off. Now that we've covered my vast knowledge of 60's trends, let's get to baking. Honestly, I wasn't sure if I would dig this recipe. I experienced a bit of rosemary overkill last year and haven't touched it much since. I was pleasantly surprised. 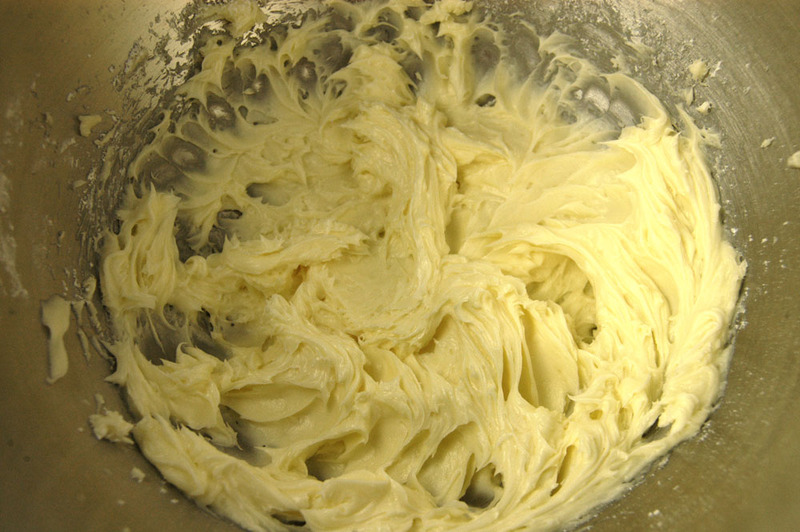 In the bowl of an electric mixer, combine the butter, honey and confectioners sugar and beat on low speed until combined. But yeah, like I was saying, beat on low. Add the flour mixture and mix until combined. 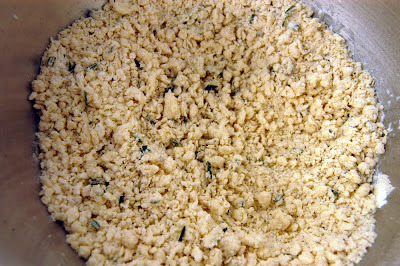 The dough will be coarse and have some pea-sized bits. 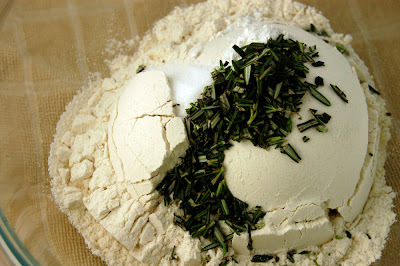 Form the dough into a mound and transfer to a lightly floured surface. Knead it until it starts to come together, about 8-10 times. Don't be overly knead-y. 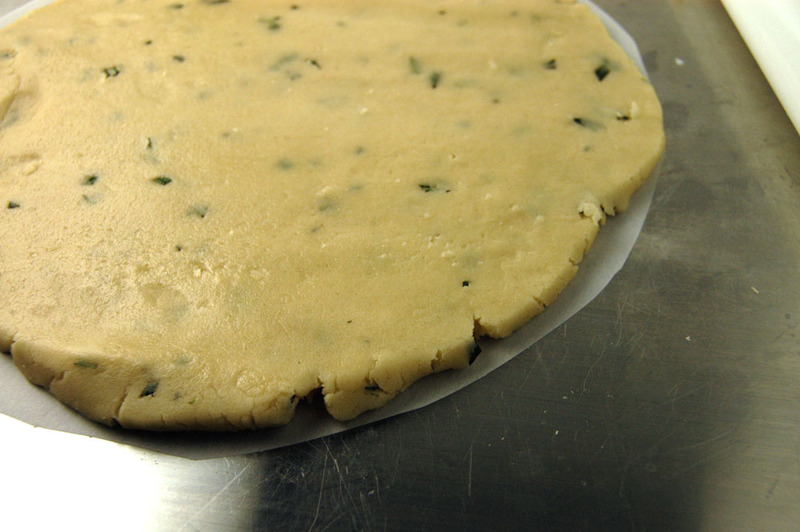 You can form the dough into a log, let it chill in the fridge then slice it or you can roll it out and cut into wedges, circles, bars, whatever you like. I traced and cut out two 9-inch circles on parchment paper then rolled 1/2 of the dough on each circle. 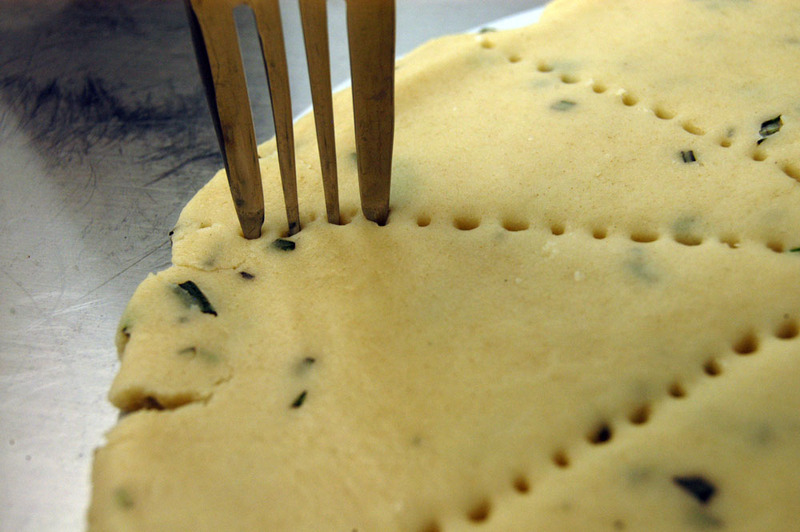 Use a fork to score the dough into wedges. It's time for the perforator. 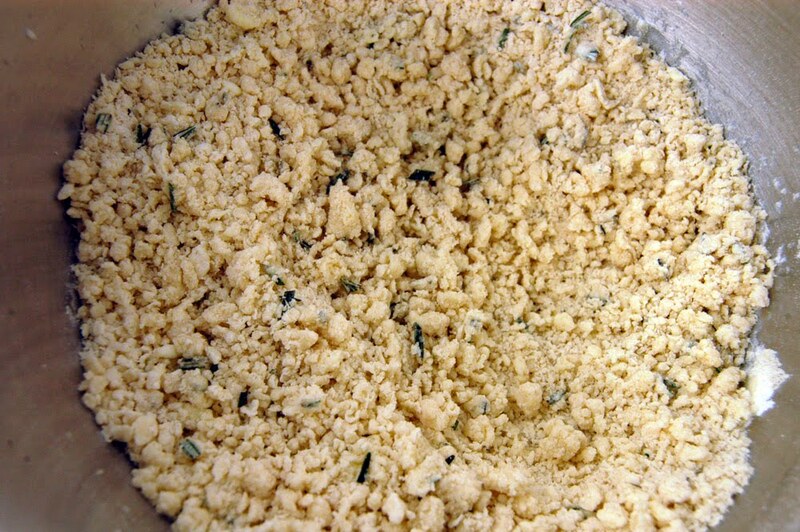 Sprinkle the dough evenly with the granulated sugar. Bake for 20-25 minutes or until golden brown. Let it cool on a rack for 5 minutes before transferring to a cutting board for slicing. 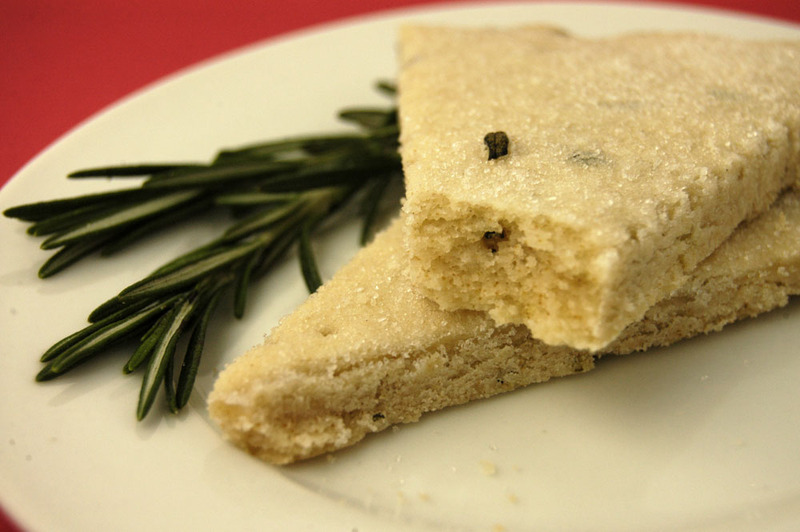 Such a simple, flavorful, aromatic cookie. I'm definitely back on the rosemary wagon. Ali, shortbread is in the air. Joe Pastry has been talking shortbread this week also. Oh my. I'm loving your pictures! Carey Mulligan is my current girl crush. She's adorable. 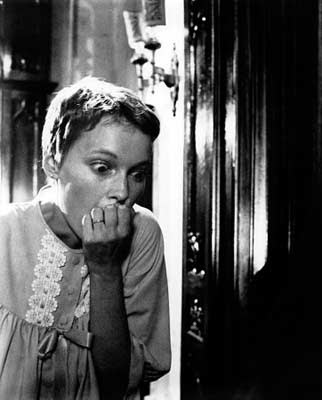 The neighbors in Rosemary's Baby always got me. And wth at that drink?!! UGH! Wendi - thanks for the heads up on Joe Pastry. He's my new favorite bookmark. Margie - well shucks, thanks :D I forgot to add Michelle Williams to the list of pixie-puller-offers. Totally cute. Liam - your good luck charms don't work on me, Castavet. I remember that movie. LOL Your shortbread looks yummy and very pretty. 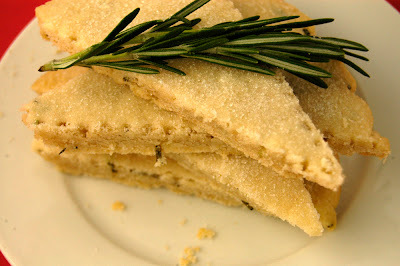 Rosemary is my favorite herb. I could go for these with a spot of tea. I live a few blocks away from the building they filmed this in and my friend is a nanny for a family in there. To be honest, it scares me. Thanks guys! Rosemary is such a great herb, indeed. 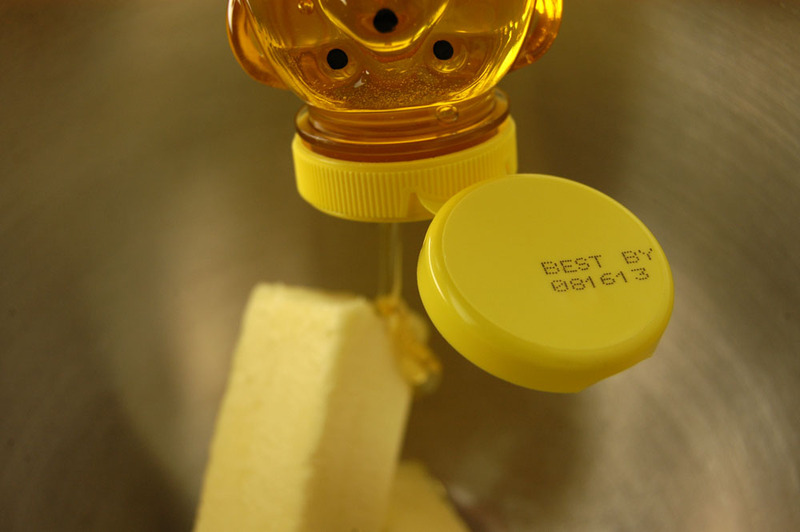 It smells wonderful, it works well in savory and sweet recipes, it even *looks* pretty. I enjoyed eating these. Rick - dude...that's sceery. Great building but damn. Is it weird that I just looked at the final product and said out loud, "so pretty"? And love the tie in with Rosemary's Baby. Great, great movie! She looks really pretty with short hair. I'm just saying not all girls can pull it off.